UPDATE! This Giveaway now includes the Half Marathon, the Want it More Training Challenge in addition to yoga and wine tasting!!! I have the ultimate giveaway on the blog today and it's all about my two favorite subjects - running and wine. 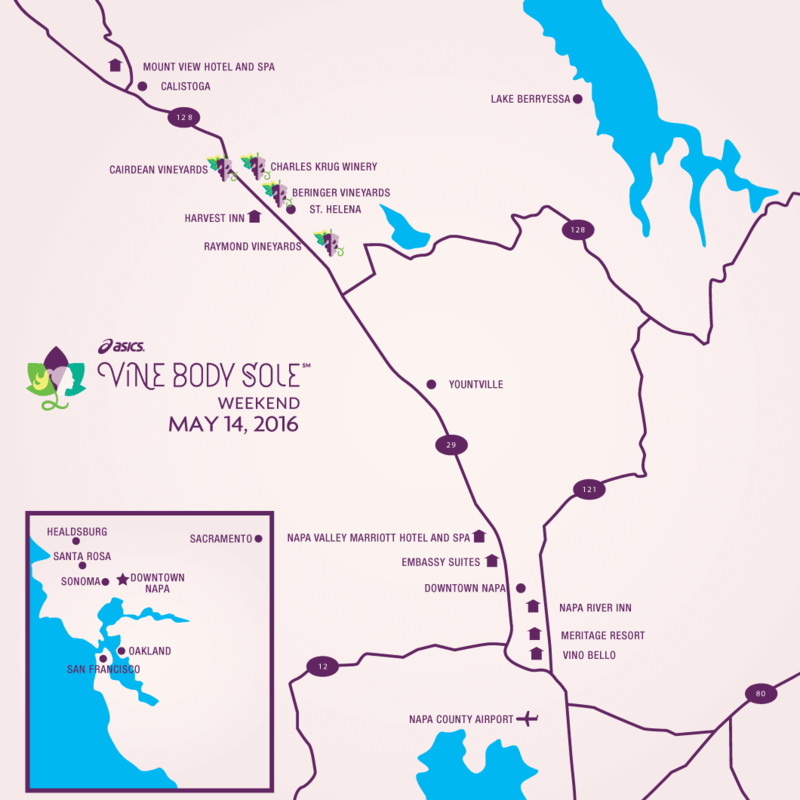 I have one free entry to ASICS Vine Body Sole Half Marathon weekend to giveaway! 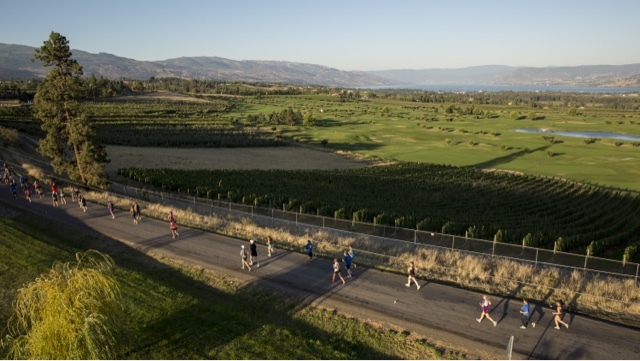 The 13.1 course takes place in Napa Valley starting at Beringer, the region’s oldest continuously operating winery. From the gates of Beringer, the course then takes you north through the heart of the Napa Valley, past thousands of pristine acres of vineyards nestled between the Mayacamas Mountain Range to the west and Vica Mountains to the east. ASICS Vine Body Sole has options for all runners including a half marathon with individual, team and relay options. Along with the run, there will also be training events, yoga, other fitness activities AND of course wine tastings. Along with running for wine, ASICS will have a fashion show, a wine- and music-centric finish line festival and special appearances by Team ASICS elite athletes, including Deena Kastor. Let me know in a comment below why you want to win this amazing race entry. Don't forget to log your entry through the Rafflecopter widget below for an opportunity to get additional entries! I would absolutely be over the moon to win somehting like this...first off as it would be a wonderful birthday pressie. Second it would allow me to meet a few gals from cali to come meet me and hang out. Third, after losing my job, and working at another that pays less than half what I used to make I could use a real lift! Plus it would allow me to use a credit from United Air to get there! I actually love wine almost as much as running...two passions in one weekend! SCORE!! I've been stalking this race since they announced it! I've run only one Destination Race (Napa to Sonoma) and loved it. I love seeing new places thru running! 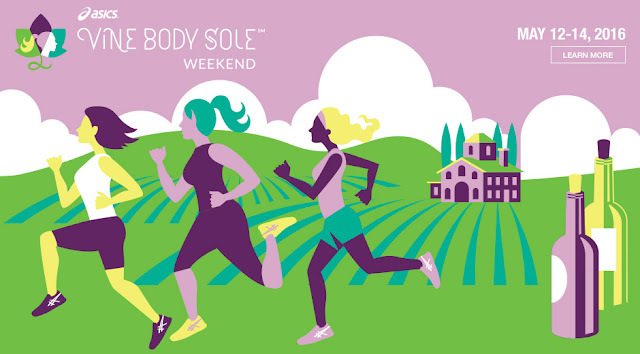 This seems like the perfect way to see wine country, have a beautiful run and have a ton of fun! A once in a lifetime experience for sure! Oh and it's my birthday weekend!!!! Great giveaway!!! I think I would have to make a trip to Napa! This race would be a dream! I want to win to be able to participate in a fun, women's weekend and crush my half marathon goals! I want to run this race with fit females everywhere! I also would love to run through Napa Valley and experience and amazing race through wine country! This is my birthday weekend. This would be a pretty awesome birthday run! What an amazing give-away! I've run two full marathons in years past, but work stress has kept me away from running lately. This would be such an inspiring and motivational way to kick-start my love of running back into full gear! I'd love to win this and make it a GIRLS WEEKEND!! This would be amazing and I would like to win it to be able to spend a weekend in CA for fun and relaxation away from the responsibilities of work and everyday routines. I would love to run this destination race for me. This would be my first race on the west coast and it would be a great getaway trip!